An earthquake of magnitude 7.1 M at a depth of 51 km hit the central-west areas of Puebla State (population 4.4 million people) on 19 September at 18.14 UTC. According to the National Seismological Service (SSN) of Mexico, the epicenter was located 12 km southeast of Axochiapan, Morelos, and 120 km from Mexico City. 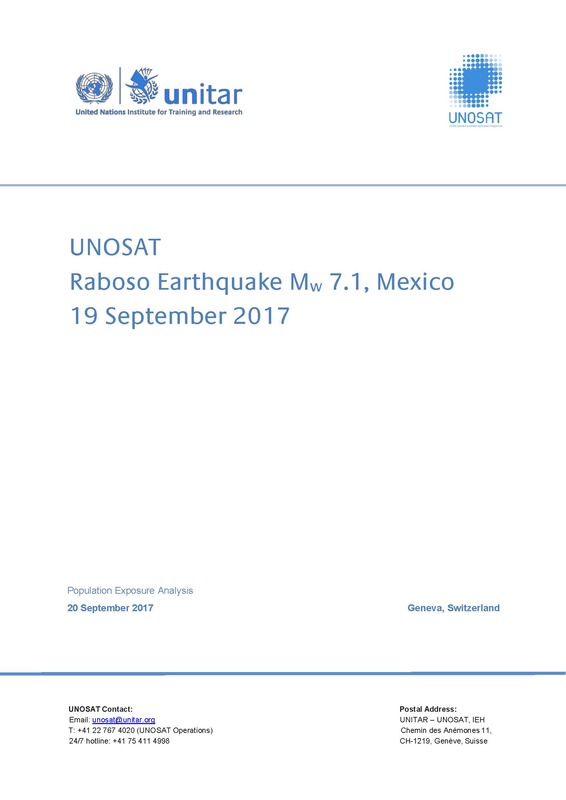 The earthquake was measured at a magnitude of 7.1, occurring at 13:14:40 Central Daylight Time, at a depth of 51 km.The United States Geological Survey (USGS) placed the epicenter 5 km ENE of San Juan Raboso and reported a measurement of VII (Very Strong) on the Mercalli intensity scale.